In lieu of flowers memorial donations may be made to Mt. Pleasant Cemetery and left at the funeral home. 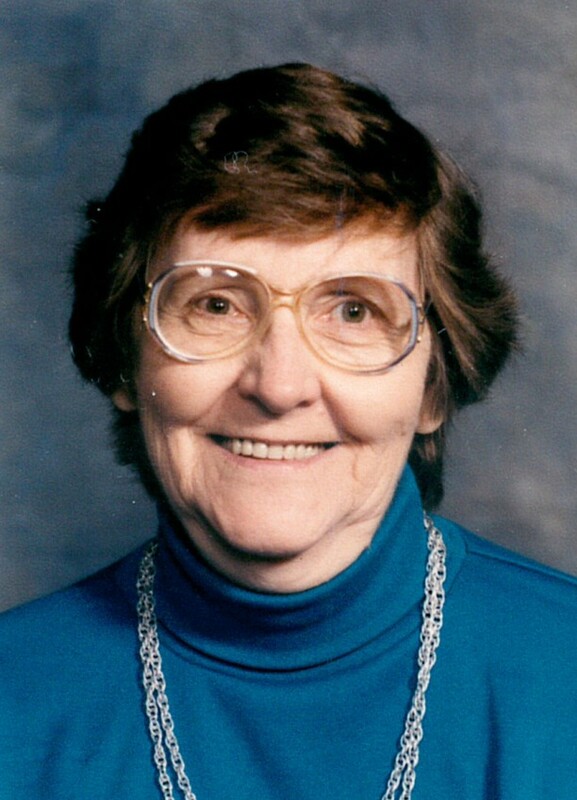 Frieda Elizabeth (Kicenski) Martin, age 88, of rural El Dorado Springs, MO, passed away peacefully February 10, 2016, at Community Springs Healthcare in El Dorado Springs following a long illness. Frieda was born November 8, 1927, in Hutchinson, KS, to Rev. Arthur Kicenski and Mildred (Anderson) Kicenski. She had one sibling, a brother, Waldo Kicenski. Frieda was baptized at a young age and was devoted to her faith all her adult life. The family moved often and Frieda attended many elementary and secondary schools, graduating in 1945 from El Dorado Springs High School. She continued her education at Salt City Business College in Hutchinson, KS, and then Southwest Missouri State College in Springfield, MO. She taught in several area schools. Her last and most rewarding job was working with students at the Missouri State School for the Handicapped in Nevada, MO. In 1952 she married Oren L. Martin and enjoyed life on their farm for 63 years. She enjoyed her gardening, flowers and reading, but especially loved doing needlework and was known for her beautiful crochet pieces. Survivors include her husband Oren, of the home and three daughters: Glenda Allen, of Monett, MO, Jan Jacquinot (husband Richard), of St. Paul, KS, Lois Hoover (husband RC), of El Dorado Springs; one son: Daniel Martin (wife Mollie), of Singapore; one brother, Waldo Kicenski, of El Dorado Springs; eight grandchildren: Kent Culbertson, Ashley Jacquinot, Brenda Hoffman, Janet MacNealy, Jill Shinault, Darrin Hoover, Christopher Brownsberger, and Kelly Brownsberger; twenty great-grandchildren, three great-great grandchildren; and numerous other close family members. Frieda was preceded in death by her parents; one son Lynn Martin; and one grandson. Funeral services for Frieda Martin were held on Monday, February 15, 2015, at 10:00 a.m. at Bland-Hackleman Chapel with Rev. Brent Bland officiating. Interment followed in Mount Pleasant Cemetery under the direction of Bland-Hackleman Funeral Home. Pallbearers were: Chris Vickers, Clint Vickers, Wayne Pennock, Lonnie Gilpin, Merle Simrell and Kenneth Kicenski.